White House press secretary Sarah Huckabee Sanders downplayed George Papadopoulos' role within President Trump's campaign, referring to him as a "volunteer." 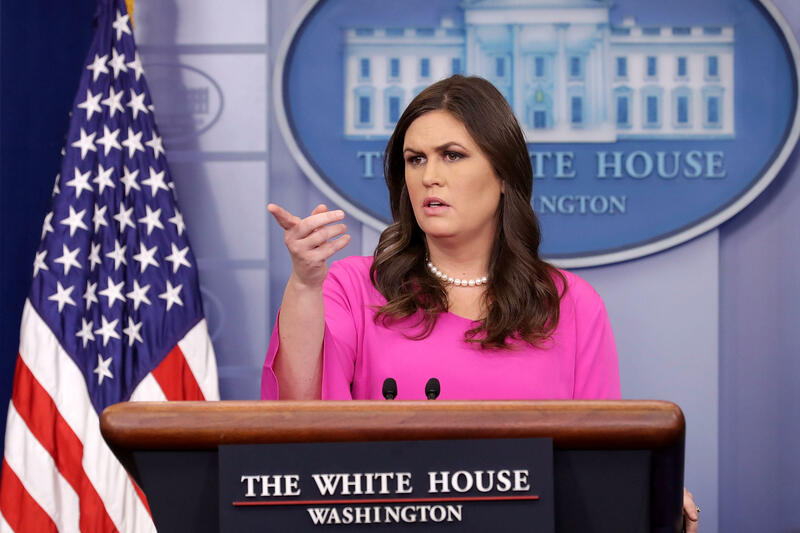 "He was a volunteer member of an advisory council that met one time," Sanders told reporters Monday afternoon during the White House press briefing. Papadopoulos, who is 30 years old, joined the Trump campaign in early March 2016 as a foreign adviser. The special counsel tasked with investigating Russian meddling in the 2016 U.S. presidential election as well as potential collusion between the Trump campaign and the Kremlin released a statement which says that Papadopoulos "pleaded guilty on Oct. 5, 2017, to making false statements to FBI agents, in violation of 18 U.S.C. 1001." The plea was unsealed Monday, but his sentencing hearing will be scheduled later. Papadopoulos' lie to FBI agents detailed the nature of his interactions with "foreign nationals" who he believed to be closely connected to senior Russian government officials. Sanders claimed that Papadopoulos was unpaid and asserted that his activities were considered "unofficial." "It has nothing to do with the campaign's activities," she said of Papadopoulos' plea. Sanders emphasized that she's "not sure that the president recalls specific details" of a March 31 national security team meeting at Trump International Hotel in Washington, D.C. in which Papadopoulos was present. "He asked to do things, he was basically pushed back or not responded to in any way," Sanders said of Papadopoulos' efforts within the campaign, which included sending out emails that offered to set up "a meeting between us and the Russian leadership to discuss U.S.-Russia ties under President Trump." Sanders would not comment on whether Mr. Trump regrets hiring certain members of the campaign, including former 2016 campaign chairman Paul Manafort and his former business associate Rick Gates, who were both indicted Monday morning on 12 separate counts, including conspiracy against the United States. She also criticized Hillary Clinton's campaign and the Democratic National Committee for their contributions which funded research for a dossier alleging Mr. Trump's connections to Russia. "What the Clinton campaign did, what the DNC did was actually exchange money, they took a meeting," Sanders said. Without citing a source or potential end date, Sanders said that the Trump administration believes Special Counsel Robert Mueller's Russia investigation will end in the near future. "We believe that it will be concluded soon," she said. CBS News justice reporter Paula Reid, however, said her sources still maintain that the investigation is not winding down and could in fact take years to be wrapped up.